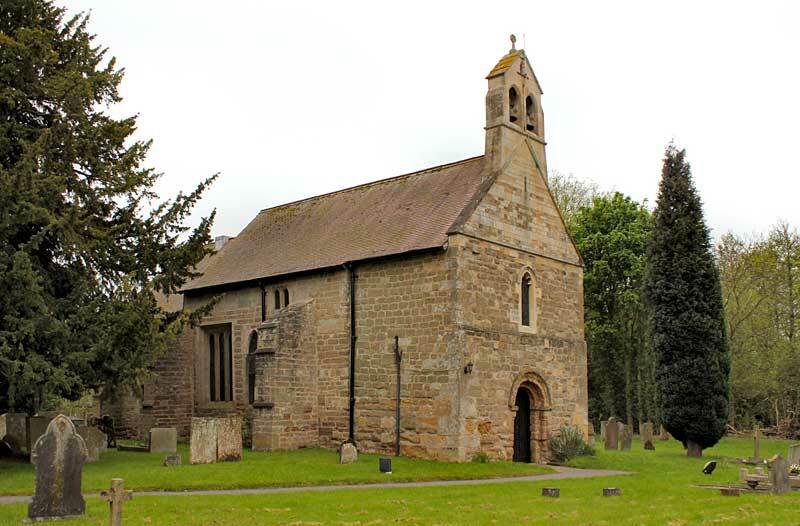 There are two bells in a double west bell-turret. Waist - llll SANCTA : MARIA: ORA : P : NOBIS. Hung for swing chiming with levers from wooden headstocks and plain bearings. The treble is by an unknown founder, probably 1390-1420. Raven allocated it to Johannes de Stafford, but it is definitely not his lettering on it. The tenor is by J & E Smith of Chesterfield, the only example in Nottinghamshire other than a recast bell at West Bridgford. 1552: ij belles in the steple, one handbell. 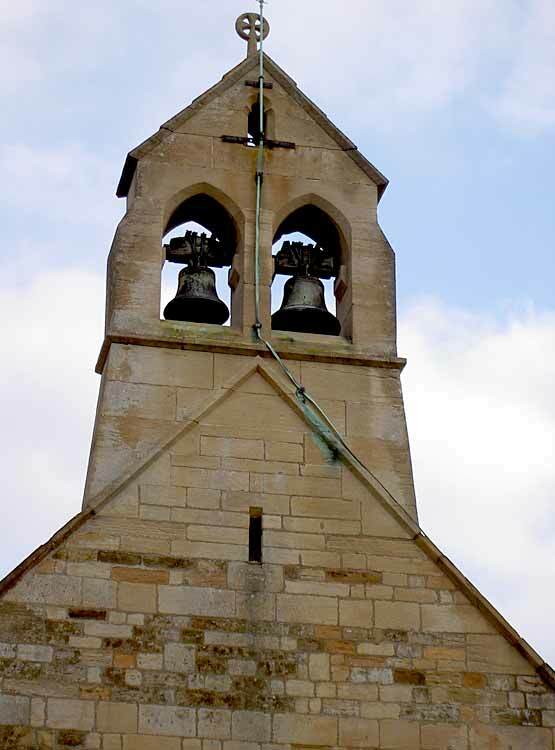 It is not known when these bells were installed, but the drawings by Charles Fowler Hodgson of the existing church in 1891 show no reference to a bell tower or bells.